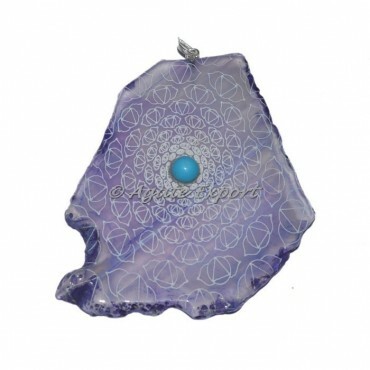 Our artists have handcrafted unique polished gemstone with engraving of the sacred third chakra symbol. This pendant an be worn at any occassion or with any outfit. You can have this piece with engraving as per your choice.